Just a handful of recent photos from round and about Aberdeen. For a good while We have wanted to have a look round Fitdee . May get a chance this year Dads lot from Aberdeen . Blunt and straight to the point the men and the women . Great photos. The close-up of the surfer is awesome. Great photos as ever Calum! Here are some pictures of Fittie and the recently built harbour tower for JTL. The water colours are for sale from a gallery in a garden shed on the main path pictured. The day I bought them, I saw the sign and walked in the slightly open frontdoor, a whole family sitting watching telly, my son and I asked if it’s okay to look around. The horrified look on the mothers face had me perplexed, but once I explained we wanted to see the art gallery, it dawned on her what had happened, it was her neighbour at the other side of the street who has the gallery round the back! 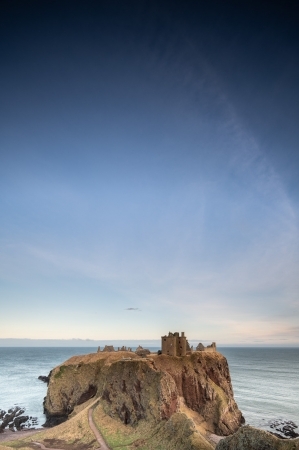 Magnificent photos of Dunnotar and the beacon Calum. I hope you were at last able to drive there in your M3W to take them. I wish! The body work repairs should be completed in the next few days then it "just" needs to be put back together. I'm still stuck in my Fiesta for all journeys but have of course disabled the heating and the heated seats and wedged the electric windows fully open at all times just to begin the full M3W re-acclimatisation. 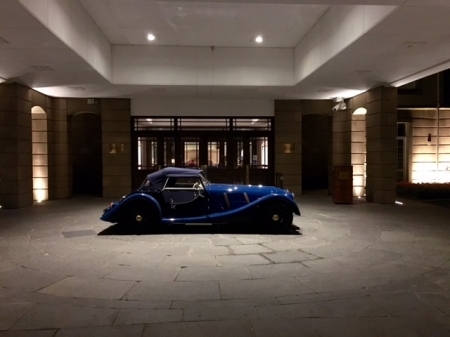 Your pictures are always spectacular, Calum, but will be even better when you get your 3wheels back, the galler just isn’t the same without it. Stunning, action, images, I must get my wetsuit out of the shed. Excellent images and very nice composition.